In our daily effort to make a positive contribution to the environment and manage waste efficiently, Urbaser strives to make the most of the different sources of renewable energy that waste offers. This is already laid down in the Waste Framework Directive, which prioritises in second place, after the recovery of materials, their use as an energy resource. Urbaser goes one step further with the installation of photovoltaic panels in waste treatment facilities and municipal services. Biogas: This is produced both naturally in landfills, and in a controlled manner using processes of biomethanization or anaerobic digestion of the organic matter present in the waste. Energy recovery of waste: A treatment in an incinerator allows the energy recovery of those non-recyclable materials present in the waste. Biomass: Biomass waste used thermally. The different processes for taking advantage of energy allow Urbaser to generate electricity, both for self-consumption and for export. In the Waste Framework Directive, the recovery of materials is given priority, but before that, the importance of reducing the generation of waste is established. This goal is of key importance since waste and wastewater management represents 5% of global GHG emissions. And it is precisely the escapes from landfills that are their main cause. The deposit of landfill waste inevitably leads to positive net emissions. In the case of integrated waste treatments, it is possible to obtain net avoided emissions by replacing raw materials with recovered and recycled materials, and using renewable energy. 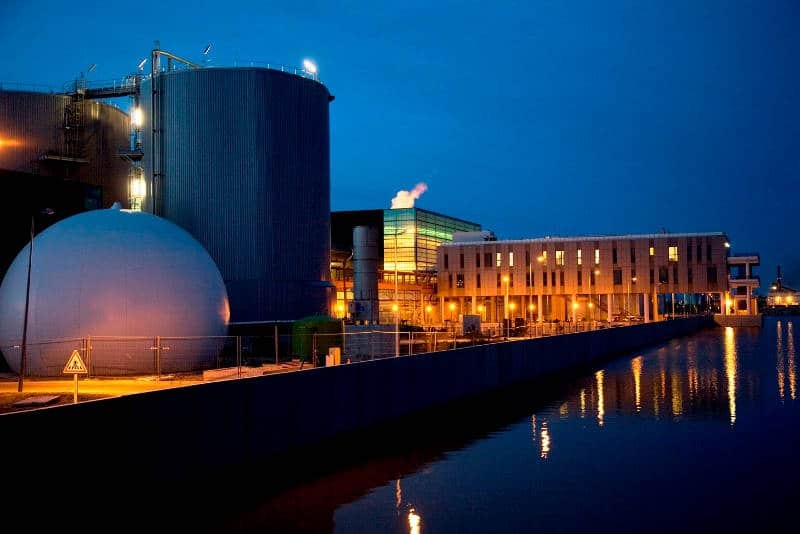 Waste treatment processes go far beyond treatment plants. The waste collection fleets and auxiliary machinery also generate GHG emissions. Substituting their fuel with natural gas can reduce their direct GHG emissions by 45%. Using electric vehicles, this reduction reaches 100%. Urbaser annually quantifies its impact on climate change, through the calculation of the Carbon Footprint for all its centres and services using urge CO2, our own tool, unique in the sector, which enables emissions to be identified, even by activity, premises and process. Every year since 2013, both the Urbaser Carbon Footprint and the GHG management system, which uses urge CO2(r) to measure the company’s emissions, areverified by an external entity in accordance with ISO 14064:2012. In addition, URBASER is registered in the Carbon Footprint Registry of the Spanish Office of Climate Change which reports to the Ministry of Agriculture, Fisheries, Food and Environment (MAPAMA), for which the company is awarded the hallmark that quantifies its GHG emissions in accordance with ISO 14064:2006. Network of 77 recharging points for electric vehicles and 39 stations for refilling Natural Gas-fuelled cars. Prince Felipe Award for Business Excellence 2009 in the category of Energy Efficiency and renewable energy. Construction of one of our headquarters with all the energy-saving systems (electricity, water recovery and saving, insulation, gas, renewable energies and cogeneration, etc). 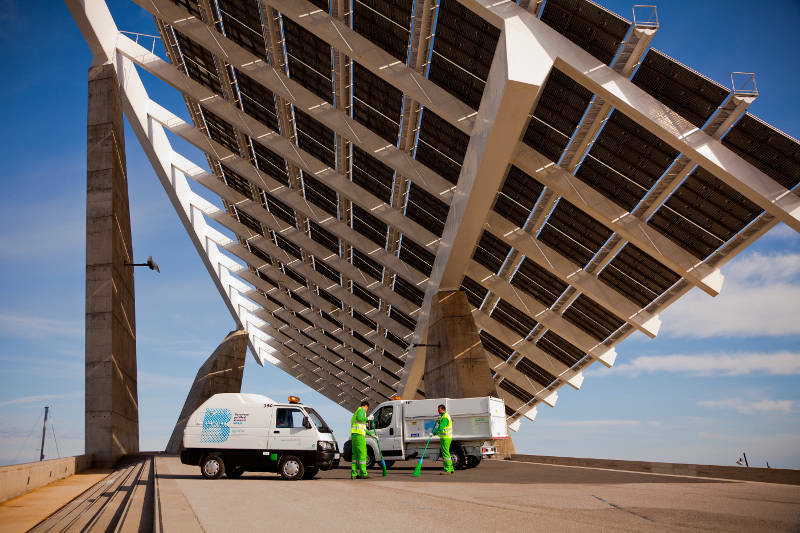 First company in the sector, and third in Spain, to implement the Energy Management System (83% of sales). 797.6 GWh per year of renewable electric power generated. 14.64 GWh per year of renewable steam exported with biomass. 84.61 GWh per year of electricity consumed from grid with renewable energy certificate. 822 Low Emission vehicles (NGV). 1.5 GWh per year of energy consumption reduction through energy efficiency measures. 337,174 m3 of water reused annually. GRI (Global Reporting Initiative) external report and verification of the environmental indicators of the entire organisation since 2007. Calculation of the URBASER Carbon Footprint using the urge CO2® tool, annual verification in accordance with ISO 14064:2012 and Carbon Footprint Registry of the Spanish Office of Climate Change. 1,316,166 tonnes of CO2e avoided per year in the treatment of waste by recovery of materials and generation of renewable energy. 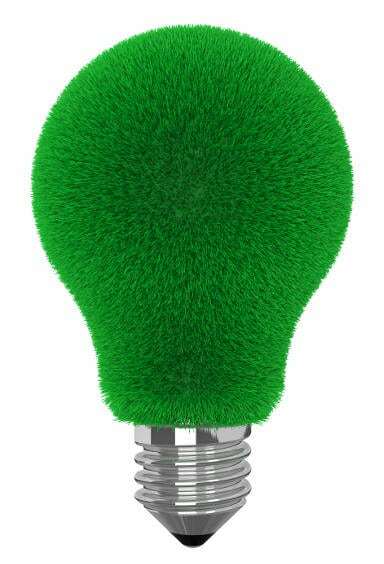 Green selling: Study of GHG emissions in the offers and studies carried out for Municipal Services and Waste Treatment, in order to provide another valuation criterion, in addition to technical and economic considerations. Participant in several Climate Projects, promoted by the Carbon Fund for a Sustainable Economy (FES-CO2) to reduce Greenhouse Gas Emissions (GHG) within the diffuse sectors in Spain. Promoter of CDM (Clean Development Mechanism) projects: Generation of 800,000 CERs (Certified Emission Reductions) per year. Plant for the production of biogas by anaerobic digestion and energy recovery, Marseille.